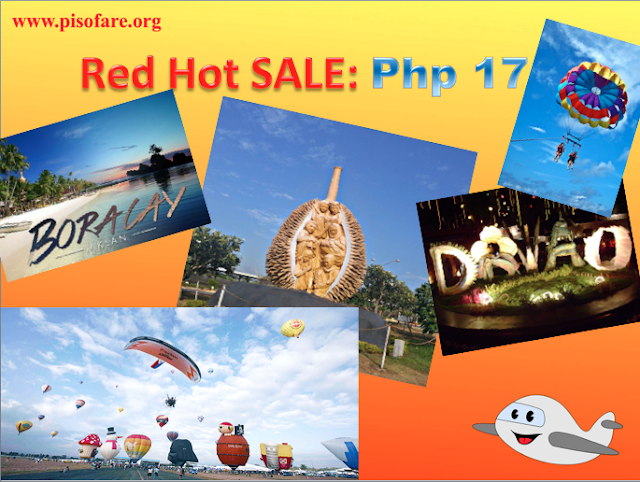 Piso Fare Promos: Planning ahead for future travels is really essential nowadays with the presence of low cost airlines like AirAsia PH offering low plane ticket fares to their passengers. Don't be sad if no Piso Fare Promo yet but the good news is, you can avail a ticket price for as low as Php 17. It is an all-in one way fare from Clark going to either Kalibo (Boracay) or Davao. How is that? If I were you, I would still take advantage of it. One good thing about this promo is that you have ample of time or say months to come up with an itinerary or perhaps, set your travel goals with family, friends or maybe just yourself. You have to great choices to visit. Either Visayas-bound with Boracay or Mindanao-bound with Davao. Here are other details that you need to put in mind. This is obviously for next year, 2018 travel folks. And if you prefer other destinations, there's a bigger chance that you can book a ticket to Iloilo for as low as Php 202. So definitely, don't miss it out. We also made an extra mile to research on the possible fares of other destinations that you might be interested in which has a bit of a less expensive plane fare. Are you ready? Book your tickets here now!